Beef broth gives a fantastic depth to tomato soup and is also the basis of all our beef casseroles. It is ironic that stock cubes were once a staple in my cupboard and now I believe the home-made stock is the most nutritious part of the meal! In an ideal world the bones would simmer for 12-24 hrs which would allow them to break down and as many nutrients to leach into the water as possible. However if you have to make it in rush and can only simmer it for 4 hours you will have a perfectly serviceable stock, all be it a little less nutritious! It is best to use filtered water if possible. Also, if I am really stuck I would buy bones fresh from a butcher that I trust to have grass fed beef but generally I would look for organic bones. 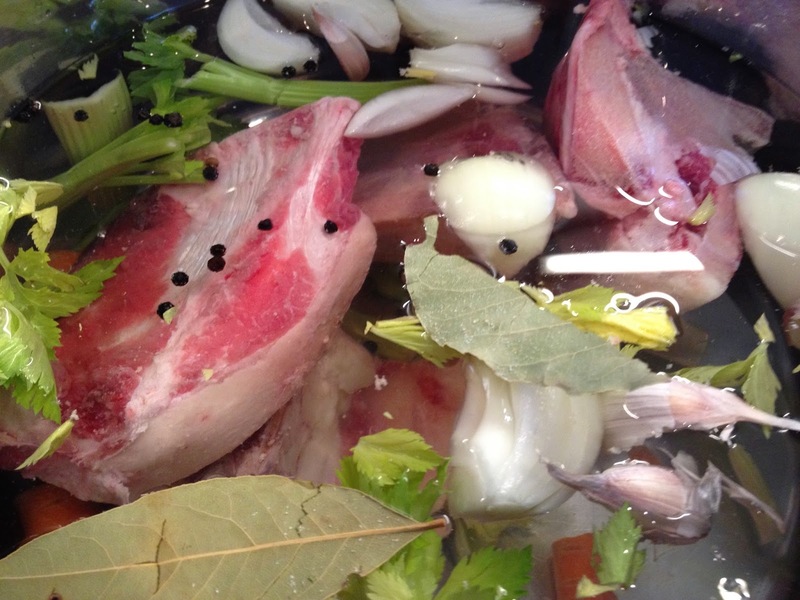 I have been advised by nutritionists to do so as any toxins from the animal could be stored in the bones and leach out into the stock and there isn't much difference in price. You can buy bones from online meat suppliers such as Graig Farm, Riverford Organic Farms both organic) and Devon Rose (not organic but high quality meat). Sieve the stock into suitable containers. Allow to cool and either refrigerate or freeze for later use.